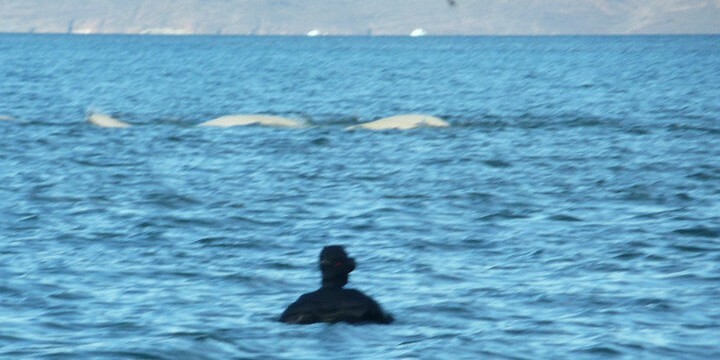 Elise was preparing for a diving trip when beluga's were swimming towards the boat. Thomas and Elise went swimming with them. The whales were very close, with sounds and bubbles but stayed invisible under water.